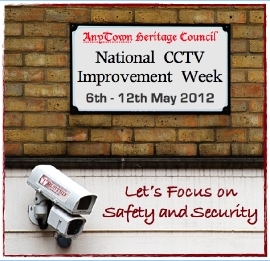 Why have a CCTV Improvement Week? Whilst the 'TRUSTED' Project is about taking practical steps to improve the operational effectiveness of CCTV systems used for safety and security purposes, there is currently no established mechanism to help encourage operators to evaluate and where necessary improve, their existing use of video surveillance. National CCTV Improvement Week will hopefully focus attention on the vital need to continually assess and improve the effectiveness of existing security camera systems, and provide users with a range of information necessary to help identify key operational issues that can be readily improved. A wide range of evaluation documents and resources are currently being developed for use by CCTV Users and Operators, when assessing their video surveillance systems during NCIW 2012. Once the complete suite of material is available, CCTV systems can hopefully be tested and evaluated to determine not only how the equipment is being used in relation to it's key operational objectives, but also how well the technology is performing in fulfilling a range of diverse roles. 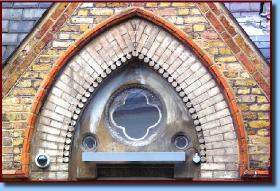 Particular emphasis is being placed on providing simple straightforward guidance and evaluations, that can be easily understood and used by non technical individuals, whilst still offering a valuable insight as to where the CCTV is being used correctly, what could be done better, and what if any improvements need to be made. Over the weeks leading up to NCIW 2012, the documents will be made available and can easily be obtained in common formats such as .pdf and .doc. What is the TRUSTED Project? Originally launched back in 2007, the concept of significantly improving the performance and usefullness of video surveillance systems, is based squarely on the idea of achieving "Target Recognition Using Surveillance Technology for Evidence and Detection", or "TRUSTED" for short. The latest stages of the project are intended to address a number of everyday operational issues, which are considered to be in urgent need of redress.